Download music, PDFs, software and other items by clicking links on web pages. Note: If you download an item that you previously downloaded, Safari removes the older duplicate so it doesn’t take up space on your Mac. 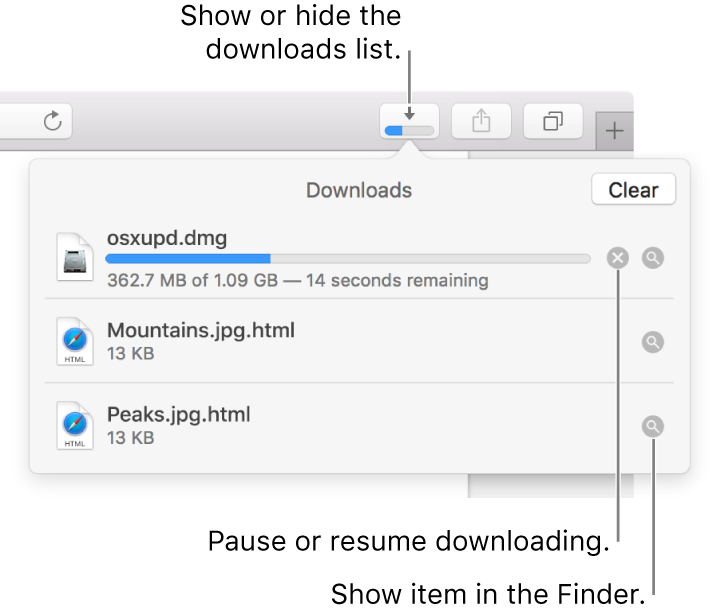 See Optimise storage space on your Mac.